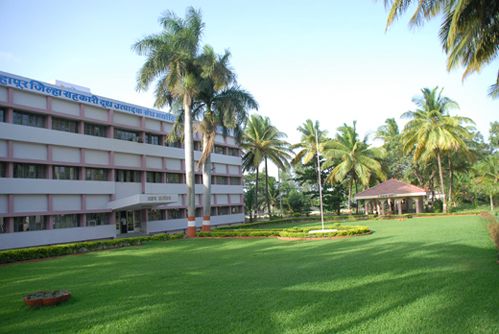 Kolhapur Zilla Sahakari Dudh Utpadak Sangh Ltd. well known with its popular brand ‘Gokul‘ is an Operation Flood cooperative dairy project established on 16th March 1963. Since then achieved many land marks in Milk Procurement, Extension, Animal Health, Breeding, Milk Processing, Product making and Marketing. At present Gokul has modern 12 Lakh Liters/day capacity dairy plant , satelite dairy at udgaon , tal shirol and 4 owned chilling centers having 4.75 Lakh Liters/day milk handling capacity with modern Packing Unit at Navi Mumbai. For milk production enhancement in milk shed we have presently 45 Mobile veterinary routes , 406 Cluster A. I. Centers, A state of the art new 300 MT/day capacity Cattle Feed Plant with popular ‘Mahalaxmi’ brand is operational at Kagal-Hatkanangale Five Star MIDC. 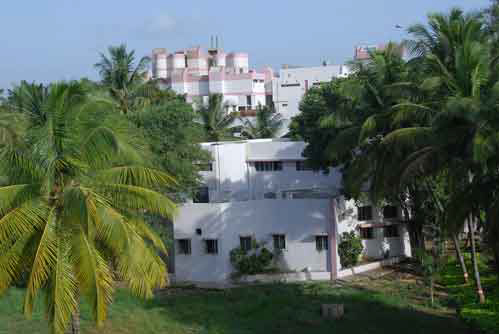 The old cattle feed plant with 200 MT/day capacity plant is simultaneously operational. Gokul received “Sahakar Bhushan” award, 3 times from Government of Maharashtra. Plant Holds Food Safety Management System Certificate ISO 22000:2005. Own Cattel Feed Plant of 500 MT/Day capacity holding ISO 9001:2015 Certificate. 'Energy Saving Award' in Dairy vertical 5 times by Government of Maharashtra. Union continue renuwal of Export Inspection License for Product Exports. Undertaken DPM Study from 1990 for Plant improvement, Refrigeration, Plant Losses etc. with help of NDDB/FAO. 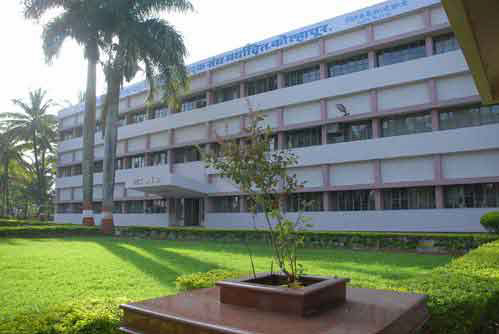 First plant to start Quality Assurance Programme in country in 1992. 14 times winner of National Productivity Awards from 1988/89 to 2006/07. Gokul bags PATENT for its innovation Milk Replacer. We pay back 76 to 82% for every sale rupee generated in form of price and services to the Milk Producer. Turnover for financial year 2017-2018 (provisional) – Rs. 2116 Crores. 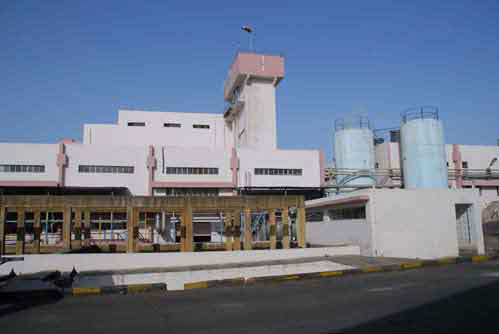 Plant commissioned in 1986 with 2 Lakh process capacity. Average growth rate in last 24 years is 10 to 11%. Highest milk handling - 15.10 Lakh Ltr/day. Average handling in Dairy Plant - 11.99 Lakh Ltr./day. Unique Female Calf Rearing Scheme. Pioneer of Gokul Gram Vikas Yojana (A Community Development Program). Provident Fund Scheme implemented for Milk Producer. Implementation of Clean Milk Production program. Bag Silage concept to improve quality of fodder. Wrestling competition and Scholarship for Wrestlers. 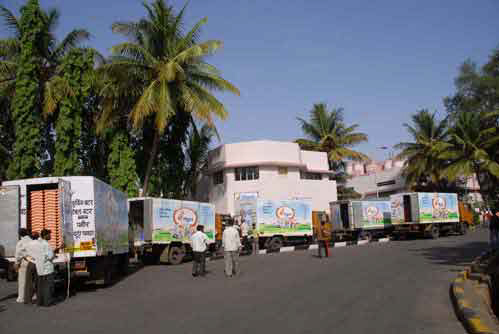 Milk collection through Bulk Milk Coolers in 36 villages. Issue Debentures to Member Societies. Woman Dairy Cooperative Leadership Development Program. Micro Training Centers for Farmers Education.